BaseCamp by Knoyd is a full-time 8-week data science bootcamp located in Bratislava, Slovakia, and online. What differentiates BaseCamp from other data science bootcamps is that they teach students by using data problems from real companies. BaseCamp doesn't only teach students how to juggle data and solve problems, the school prepares students for real-world cases and teaches them how to navigate the business side of data science. Coursework focuses on deepening students’ theoretical knowledge and enhancing practical skills in the areas of technology (Python /R /SQL), statistics (statistical inference & A/B testing), machine learning (ensemble methods), and development processes (experimentation and deployment). The 8 weeks is split into lectures, workshops, and projects. The only prerequisites are advanced English (at least C1 level) and good abstract thinking. There are no other requirements regarding age, skills or formal education. The participant must be eligible to study and live in EU countries. BaseCamp is an immersive full-time 8-week program for prospective data scientists. During 8 weeks you will deepen your theoretical knowledge, enhance your practical skills and become a qualified data scientist ready for your exciting data science career. 500 EUR within one week of acceptance, 2000 EUR prior to the beginning of the bootcamp. First half due before the start of the program and second half due after first two weeks of the program. We want all the students to be on the same entry level, so we reserve the right to send out some materials to go through before the bootcamp. Learn Data Science with our custom curated curriculum. Learn Data Science with mentors and practice on real companies' projects. Doing the Basecamp data science bootcamp was a gerat decision, because it brought me a long way in the space of only two months and I am so much more confident with data and machine learning now. This is all thanks to the patience and encouragement of Juraj and the other mentors. Topics were taught by experts in their respective fields and were taught in an engaging way. Even though some of the topics were difficult to grasp, Juraj went out of his way to make sure we understood the most important points. I really enjoyed it and I have taken so much away from the experience. I am coming from geoscience background and by taking part in this bootcamp wanted to make a career change. It has been intense 8 weeks, great curriculum as in the selection of topics, right mix of practice vs lecture and finally the project at the end of the course. I really recommend it to anyone who is looking for a course with a full coverage experience in Data Science. Now I am confident to make the switch. The small class size allows for very attentive mentoring. The final project is a great way to get some exposure to real data and dive deeper into some topics. In my opinion the intense 8 weeks of training are equivalent to some 2 years of moocs and online training (of course one has to work hard). I would definitely recommend Basecamp to anyone starting a career in data science! During the bootcamp we interacted with data scientists inside and outside the class, this was a great opportunity to get to know people and learn about their day to day as data scientists. Basecamp is a great way to learn a lot, have some fun and get to know the charming Bratislava. a very hands-on practical course with good lectures and in-depth exercises - covering data science and M.L. Recommended. I had to quit my job to participate in the Basecamp. I was aware that it was a risk because it was the first batch of the Basecamp but I did not regret it at all. 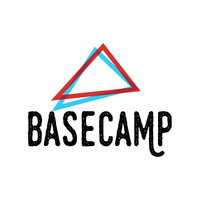 Overall, I really enjoyed the Basecamp experience! It helped me bridge the gap between the online courses and the first job. Above all the final project was great. It was not just another toy exercise but a collaboration with a start-up including their real world data. In the end, this was the key to get the my first job as a data scientist. And I was even lucky to meet my future employer at the hiring day. I can imagine that the next batches will be even better. We do not include housing in our tuition. Any other information you'd like to share with Barbora Sutarikova from Basecamp ? By submitting, I acknowledge that my information will be shared with Basecamp . An email with these details has been sent to Basecamp . You've already applied to this scholarship with Basecamp .